The last 2-3 decades have been a time of business exuberance—not just in terms of revenue and earnings growth, but in thought as well. In that time-frame, we’ve seen the emergence of several slogans: greed is good, the social purpose of a corporation is to make a profit, markets are self-correcting—to name just a few. They forget. They forget not only that Smith’s “invisible hand” was first used to refer to a collective sense of morality, in his also-forgotten book The Theory of Moral Sentiments; a book that arguably Smith felt was the greater of the two. Way back when I was in business school, the focus of attention was not on competition—the focus was on competing. And the basic point of competing was—to get rid of competition. There is an irony here, one that capitalist theorists rarely remark on. Free marketeers prefer to believe that markets are self-correcting: Alan Greenspan famously assumed that Wall Street firms’ regard for their own long-term reputation would serve as a safeguard against bad behavior. Out there in the real world, no sentient being should be surprised. There’s a reason we have regulation: because left unregulated, the natural end state of competition is monopoly. There’s a reason we have anti-trust laws—to prevent the accretion of excessive market power, which destroys competition. There’s a reason Microsoft winks at piracy in China, and tries to incorporate every software tool within Windows—because they’re competing, which means trying to put their competitors out of business. The proper role of regulation in a capitalist system is to keep shuffling the deck; to referee the game; to make fair and foul calls; to continually maintain an artificial state of affairs—the state of competition. I’m not the only one to note the irony of free-market fans generally opposing all efforts to preserve competition. All this is relevant because the nature of competition is shifting—from companies to supply chains. Where industries used to be made up of vertically integrated large corporate entities, today they are made up of far more complex inter-locking relationships, which in turn are constantly changing. The original dominance of the US in high tech and software was due not to any one company, or even companies. It was due to Silicon Valley: a network of people and talent, constantly morphing corporate forms. I wrote about this back in 2002, in The Death of Corporations. Maybe that title was a little ahead of its time, but it still reads well. The real competition that is happening in today’s world is not happening among big corporate competitors; it is playing out at the level of individuals, of personal careers. The quest for "sustainable competitive advantage" that has so captivated executives and their consultants is antithetical to the ideal of "free markets." Today’s form of capitalism offers management an overwhelming incentive to amass market power and dare regulators to stop them. But there is one other aspect of competition that is emerging: the fact that to compete in the 21st Century, you also have to collaborate. No business is so isolated that it can afford to do everything alone. In a world where scale is global, and technologies are advanced, only fools try to go it all alone. So here’s an irony for you: to be competitive, you have to collaborate. Sometimes (look at the software industry) you have to collaborate with the same businesses that you compete with in other product lines. Not only that, but that form of collaboration is not anti-competitive—it’s what Silicon Valley did. 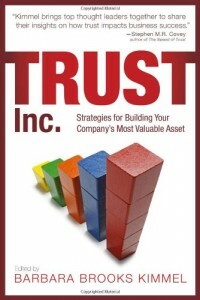 The talent, the intellectual capital, the know-how, do not reside within corporate walls. They reside in other people. Those who succeed are those who harness the capabilities of others, regardless of who writes the others’ paycheck. Competition still works: it just doesn’t work via the ways of competing that were developed a century ago. The new invisible hand rewards those who collaborate better; it punishes those whose idea of competition is to go it alone against others. 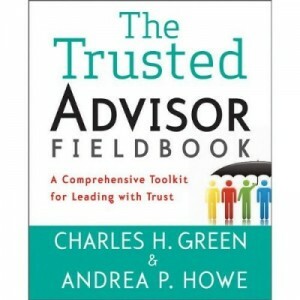 A key attribute of a Trusted Advisor is the ability to improvise in Moments of Truth. How it's done.